Amy Anne doesn't want any trouble. She doesn't even want very much attention. But when her favorite book gets pulled from the library shelf, she starts asking questions that lead to exactly that: trouble and attention. Between unfair treatment of siblings at home to creating a secret library of banned books at school, Amy Anne is poised to be an agent of change. The question is, can she speak up when it matters most? 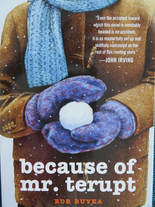 This is a great read, and not just because I am biased in favor of librarians and reading. Amy Anne is a fantastic protagonist. Some readers might find her silence frustrating, but everybody who has ever wanted to stand up and couldn't find her voice (except inside her head) will relate to her. This is a character who reminds us that people who aren't loud can still have plenty of worthwhile things to say. This story is a great example of a character taking positive action, especially since different points of view are considered, rather than villainized. Amy Anne is not just a righteous, one-dimensional crusader, either; she harbors some of her own biased assumptions about others. I also appreciate the honesty when students try some of the banned books and don't necessarily enjoy them. Overall, the book affirms the message that different kinds of books fit different readers. 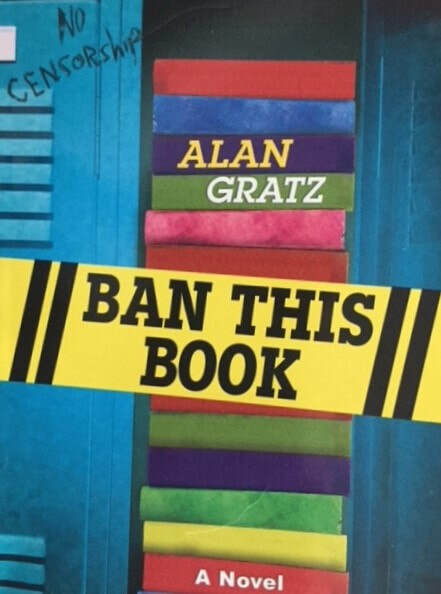 The main character is in fourth grade, but this story fits 5th and 6th grade very well, especially with its themes of family and school injustice. There isn't inappropriate content for third or fourth graders who are ready to read this story. It would be a great choice for a school or library book club discussion group. "I wanted all the books Mrs. Spencer had banned. I wanted a giant tower of books that filled my locker. And I wanted everyone to read them."